When your television or air conditioner breaks down during the middle of the night, or just after traditional working hours, you have the luxury of simply turning it off and dealing with the problem in the morning. Sure, it isn't fun to miss your favorite TV show or to have to sleep in a hot home overnight, but no lasting damage will come about as a result. However, when your water pumps fail on you, you are looking at an entirely new problem. Failing pumps cannot simply be looked away from in order to be dealt with at a more convenient time. So what can you do when your pump fails after hours? 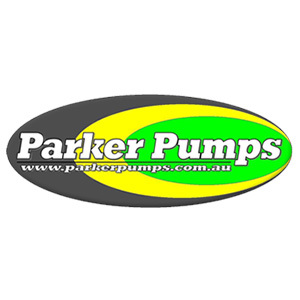 You can turn to Parker Pumps and our emergency after-hours pump repair service. 1. Quick Response Time - With our emergency service hours available, you'll know that help is only a phone call away. Whether you need to fix the pump at your farm or your commercial property is irrelevant, we'll be there in line with the expectations of our emergency after hour repair service. 2) Trained Technicians - Our trained pump technicians are carefully vetted and chosen due to their professional knowledge and reliable nature. When you call Parker Pumps with a pump emergency, you'll rest easy knowing that a promising technician is on the way with help. 3) Peace of Mind - Most importantly, our emergency after hours’ repair offers you the kind of peace of mind that no other pump company can give you. You won't have to sit and stew about the potential damage that your broken pump is causing. Instead, you'll know that you did everything you could in order to fix the problem and that we'll take over from there. At Parker Pumps we work hard to make sure that your pumps are serviced and repaired when you need them to be. Call us any time of day or night and we'll kick into our after-hours emergency pump repair mode.